Green Vegan Living: Happy New Year! Wow, it's 2012 - although everyone says it, time really does fly. Just a year ago I was dreaming of my upcoming trip to Vegas with my friend M, and also planning my 3-year vegan and blog anniversary. 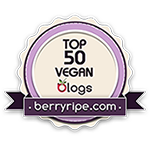 I guess that means I've been vegan 4 years now and my blog is also that old. Again, how time flies. I'm not one for resolutions. I made them when I was younger, to be sure. But I never really stuck with them. I have found that I really am more of a short-term goal person, and looking too far into the future really doesn't have an effect on my productivity. Don't get me wrong; I love thinking about the future, but actually make long-term goals is no longer one of my pastimes. The same goes for this year. I don't want to lose weight, or become more organized or clean - I am already pretty content with my weight, organizational skills and cleanliness - but I do want to focus on two major things instead. Call them personal improvement goals rather than resolutions, because I do believe those two things are different. First, I want to stop worrying. I don't mean giving careful consideration or concentrating, I mean worrying. I have gotten a lot better about this, but even so, I have the tendency to be a worry wart. I worry about the littlest [and, seemingly, stupidest] things, too, and I'm always a worst-case-scenario type person. Second, I want to fill my life with compassion. To me, this means surrounding myself with compassionate people, and also being compassionate to others. I was inspired by Colleen Patrick-Goudreau at last summer's Vida Vegan Con, who reminded us to live compassionate lives.